End of the 1940's. 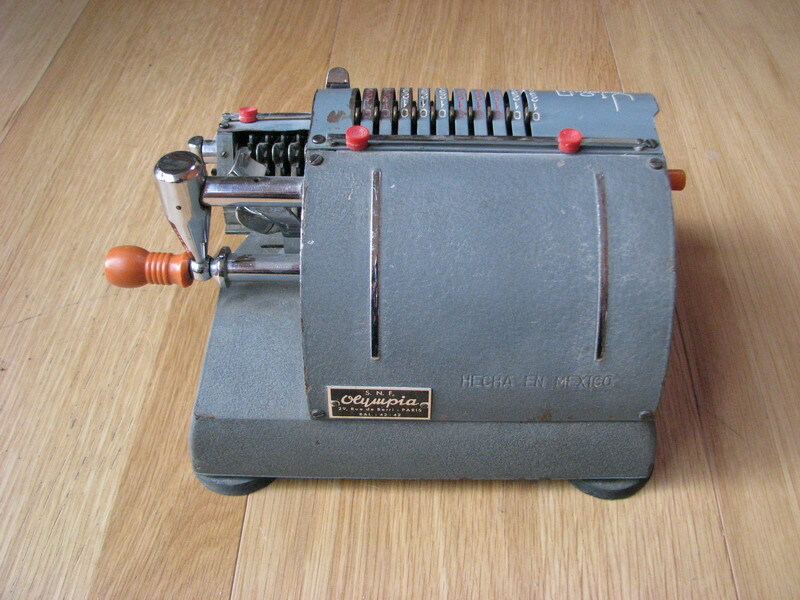 The only calculator I know of that was made in Mexico (in Guadalajara), as it proudly proclaims in the logo, as well as on the back (Hecha en Mexico). 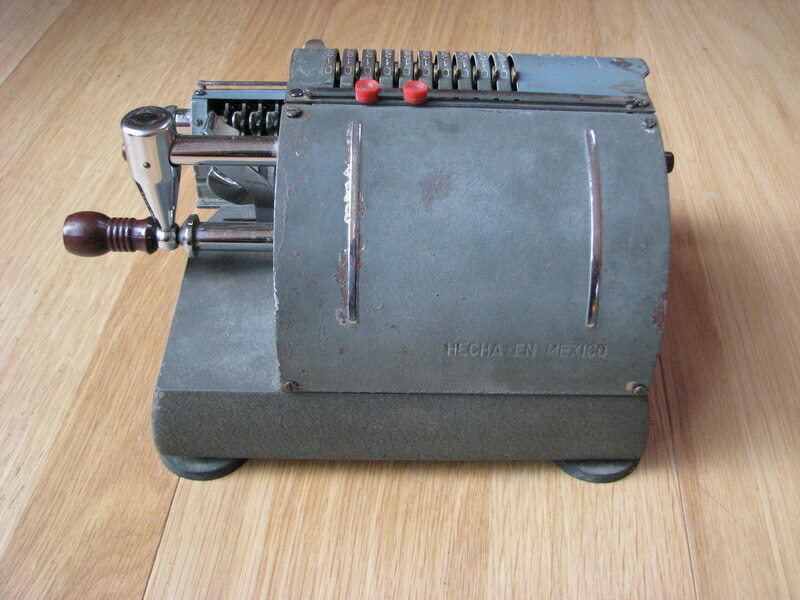 I read a review once of these machines, where it was said that basically, the machine was of similar quality and ease of operation as the "big" machines back then, Odhner, Brunsviga, Walther, ... and that if the Mexicans kept this up, the large German manufacturers exporting to South-America would have to keep this competition in mind. This is absolutely correct. 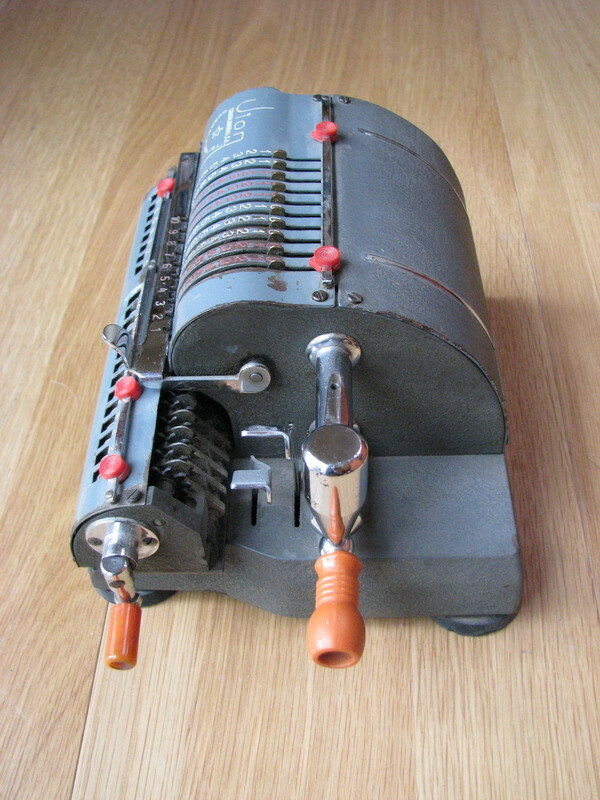 The machine is solidly built, works flawlessly after all these years, has one hand operation with the carriage shift next to the main crank, and really the only thing missing is an input control register and backtransfer. The quality of the chrome plating (I think it's chrome and not nickel) is excellent. Both machines I have have not a single flake coming off yet, and it shines like new, even unpolished. 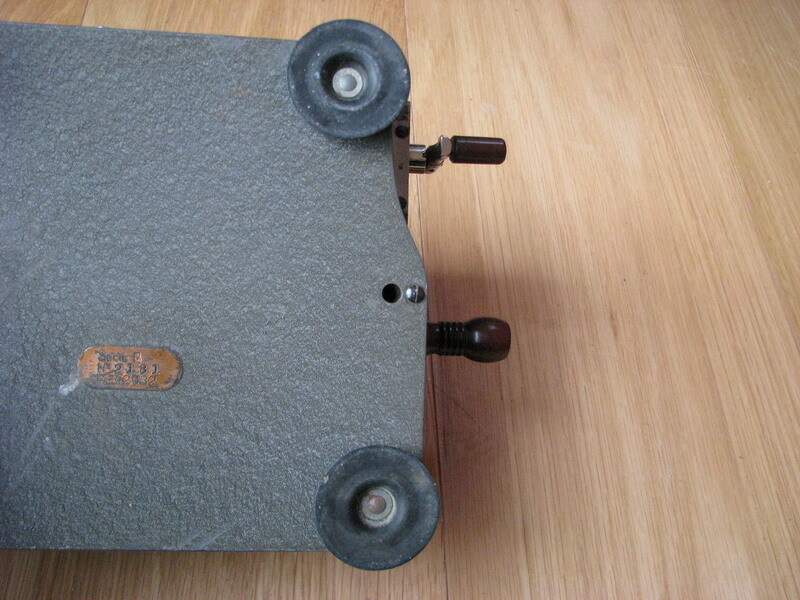 The feet are suction cups, that still work after 60 years, which in itself is a small miracle. 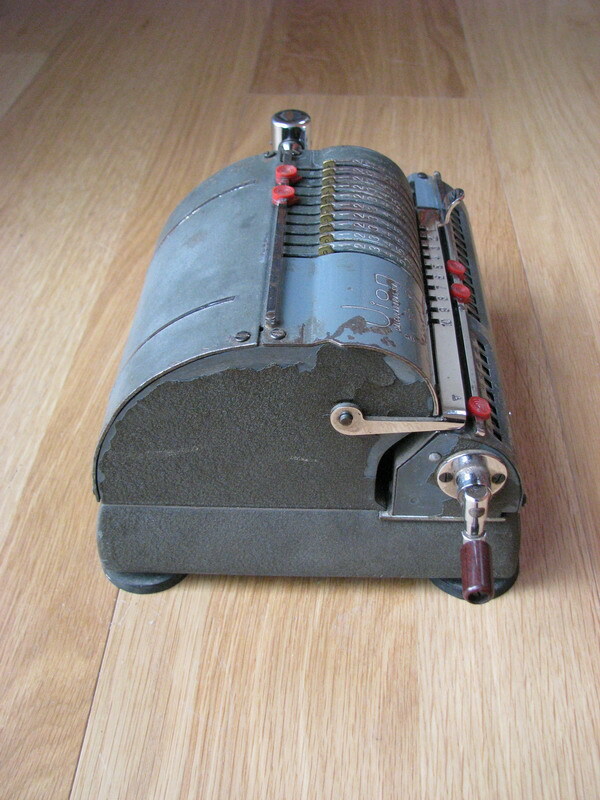 It is somewhat mysterious to me why they gave the machine the very large footprint that it has - the large rounded back is essentially completely hollow, only containing the bell. Another thing that could possibly be legitimately asked is whether the general manager at the manufacturing plant was maybe colour blind. I've seen the machine in black, dark green, and this kind of blueish grey. 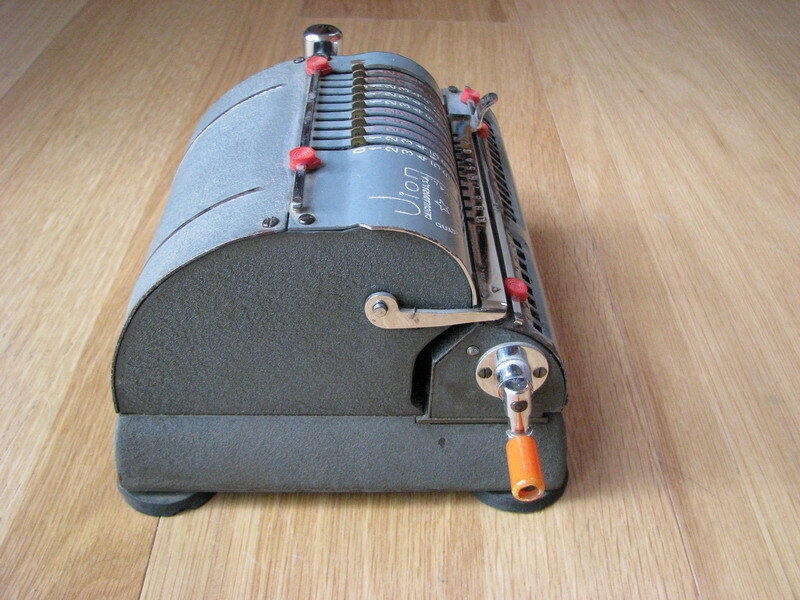 In an age where many calculators were becoming increasingly colourful, the handles on these ones are a different story entirely, and the comma sliders are always bright red. 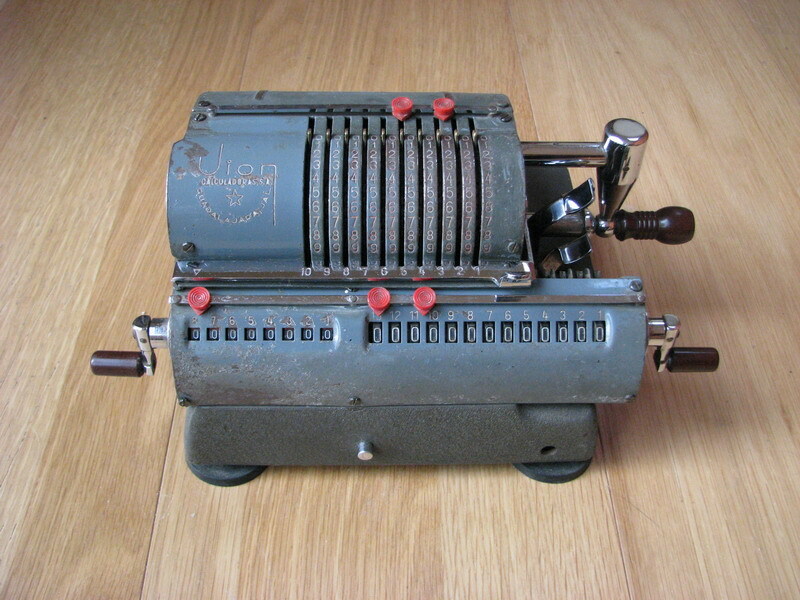 As mentioned, I have two of these machines, nr. 2181 and nr. 5655. See if you can spot the difference between them (apart from the condition) in the pictures below. 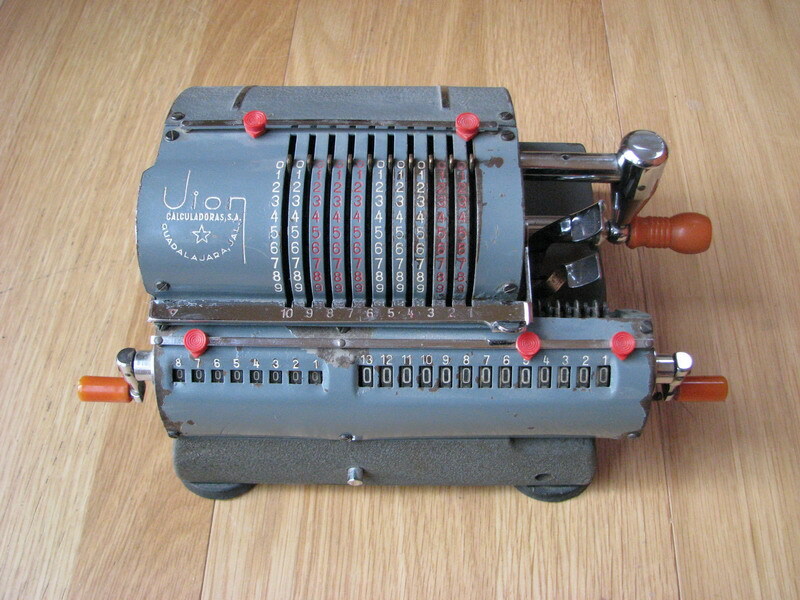 Both the unique shape of the main crank handle, and the colour of the plastic in the later machine set the Jion series B apart from any other calculator. When I bought Nr. 5655, the handle was missing, and of course it would be absolutely impossible to find a replacement in that shocking marble orange colour. 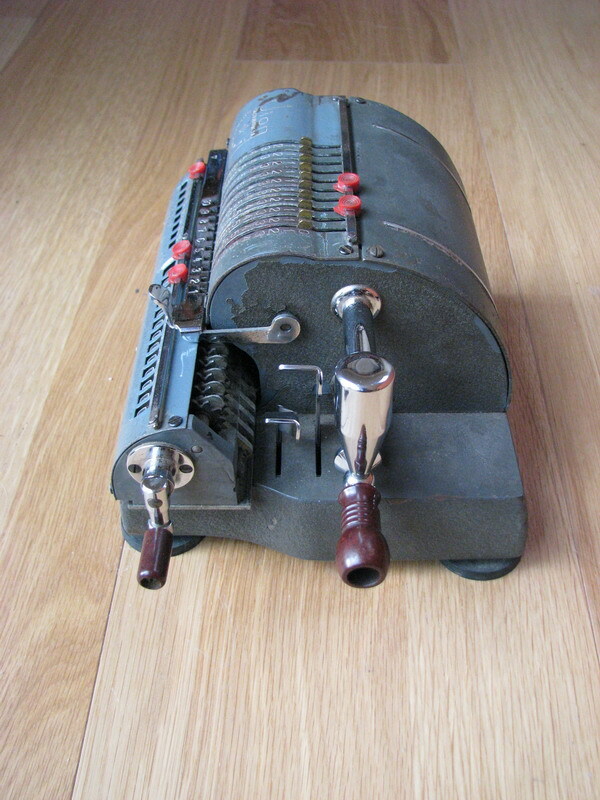 So I was very happy to come across another machine (I had to drive to Liège for that, as they would not send it, but it was cheap!). I made a silicone cast of its handle and then through judicious use of colour in the polyurethane casting resin, I managed to replicate the colour of the handles on the carriage pretty well. The only thing that remains to be done is to give the handle a coat of glossy varnish, so it will match the gloss of the carriage handles. 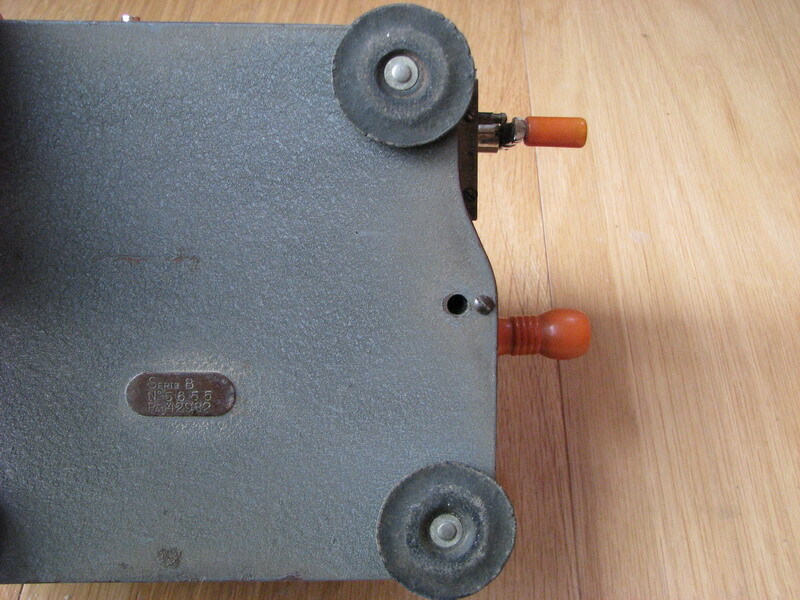 The earlier machine with the brown bakelite handles is for sale - make me an offer! If anyone else needs a handle for one of these, shoot me an email, I have the mold, and I can cast you one!